Are the Never Trumpers Turning on Mueller? RUSH: The Wall Street Journal editorial board, something’s happening over there. They are calling for Robert Mueller to resign from the independent or special counsel Russian probe. I wonder why? Why would they want Mueller to resign? I’ll tell you why. 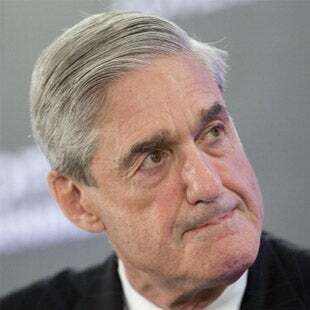 Mueller is hip deep in this uranium business, having been the director of the FBI during a portion of the Obama administration, and the whole Russian thing is a hoax. There wasn’t any and hasn’t been any, and there will not be any to be found regarding Trump collusion with Russia. Now with the news that the Democrat National Committee and the Clinton campaign via a cut-out law firm paid Fusion GPS to manufacture the Trump dossier — I tell you what. I’m gonna mention this again. Folks, it gives rise to a very relevant question: What is Mueller really doing? If you look at the people involved here in the establishment of this investigation, you got Mueller, you have Rod Rosenstein, who’s the deputy attorney general now, but he has, from what I’m told, fingerprints on some of these things, some of the uranium stuff. I’m just gonna repeat again. I think the real purpose of this investigation — and, remember, all of this is predicated on something: Everybody in the swamp thought that Hillary was going to win. They all knew what a lousy candidate she was; do not misunderstand. They all realized she was a lousy candidate. But at least they thought Trump was an abomination — they thought everybody else thought that. They thought she was gonna win and win big. And prior to the campaign, there had been all kinds of these crazy things with the Clintons involving the guy in Canada helping to facilitate the sale of 20% of our uranium supply to a Russian company with the Clintons in the middle benefiting financially two different ways, Bill’s speeches and donations to the Clinton Foundation and who knows whatever else. With Trump winning and in charge of the Department of Justice, there’s a lot of stuff that they’ve gotta get busy and try to erase, cover up, or what have you. Now, I’m just speculating here. I am using intelligence guided by experience, coupled with my unassailable expertise in liberalism and establishmentarian or ruling class politics. And just as we’ve been listening to the media and the Democrats tell us that Trump colluded with Russia, what turns out to be true is that they were colluding with Russia. How often is it, folks, that we learn various things Democrats are charging us or Republicans with doing they are doing or have done? It’s one of the feints I think they use to throw people off their scent, to accuse everybody else of doing what they’re doing and at the same time to act like it’s the greatest outrage and the greatest affront to civility and democracy and the Constitution that there’s been. Meanwhile, these people’s fingerprints at the end of the day are all over everything, and that’s exactly what this dossier demonstrates. The dossier is theirs. They wrote it. They paid for it. They commissioned it. They asked for it to be written. And they allowed Fusion GPS to get hold of Christopher Steele, who then got hold of Russians. The Russians colluded with the Hillary campaign, essentially, to write this dossier on Trump. It’s one of the biggest scandals to hit this town. It’s not being described as such, but there’s no other way to look at this. And you add that to this Uranium One business and you look at the Mueller investigation, and, to me, you know, adding or connecting the dots, it wouldn’t surprise me if the real purpose of all of this is to try to cover-up or erase or obfuscate the discovery of even more. And all disguised as an investigation to get Trump, to save America, to save our democracy, to save our election system and so forth. But I don’t put anything past these people. I don’t give them the benefit of the doubt on anything. This is why I have so little patience with people on our side wanting to work with them. Cross the aisle, legislation, I mean, it wasn’t just Democrats. Look at McCain. McCain was eager to have this dossier shown to be accurate. McCain wanted to get rid of Trump every bit as much as the Democrats. But I think the cover may be blown. The Wall Street Journal is establishmentarian. The Wall Street Journal is in the club. And they now demanding that Mueller resign from this, that’s a breakdown among the Never Trumper inside-the-Beltway establishment. Jonathan Turley, who is a law professor at George Washington University says that the Clinton allegations are more recognizable as a criminal allegation than any of the allegations against Trump, and that the Uranium One deal is more likely to be a crime than anything Trump has done. Turley is a Democrat at the end of the day. Obama CIA director Leon Panetta — this is not Brennan. Panetta was a CIA director at one time. He said yesterday “congressional committees need to investigate who in the Clinton campaign ‘knew what and when’ about payments for the Trump dossier. This is gonna be up to the Republicans to do. As long as Devin Nunes is involved, I don’t have any doubts the Republicans will. Richard Burr, on the other hand, I’m not so sure that Burr is gonna carry this out as far as it should go.